B2B with lead to opportunity to quote to sales order to invoice to fulfillment cycle and more. A subscription-based model wherein thousands of devices are sent to retail store locations. She needed Cellebrite’s CRM and ERP applications to be tightly integrated through the cloud. Therefore, the integration also needed to be in the cloud. Complicating matters was Gutterman’s decision to implement the integration at the same time the company was launching Salesforce and NetSuite. Should she build a custom integration or use a prebuilt one? Cellebrite’s integration challenges, while complex, are ones that many companies face–counting on Netsuite, but wishing Salesforce had a built-in ERP. During a NetSuite implementation, other business systems often need to be integrated with NetSuite as well. This is especially the case if there are legacy systems or other cloud based solutions that you want to integrate with NetSuite and you are taking a “best-of-breed” approach on which business systems to use. There are many pre-built connectors available for popular applications such as Salesforce, Amazon Seller Central and Magento. But what do you do if there isn’t a readily available out-of-the-box (OOTB) connector? Establish a compatible data format and transport protocol between systems – The most common data format combinations are CSV or XML over FTP server, JSON over REST, or web services over HTTPS using SOAP/XML. The gotcha here is how both systems authenticate (e.g. ID and password or token) to each other. Make sure these methods are compatible. If not, use a FTP server or Amazon S3 to exchange data. Collect API documentation, file samples and login credentials at beginning of project – This may seem obvious, but when working with 3rd party vendors, gathering this information or getting credentials take a long time and delay your project. If you are working with a bank, triple the time you think it will take to get access to their systems such as for ACH file transfer. Build integration data flows in order to support business processes – Verify which data dependencies there may be for a data flow such as item or customer data being synced between the systems and build these data flows first. Also, group data flows to support business processes, such as sales order export/import -> shipment confirmation import/export or Purchase order export -> item receipt import. Have client establish user acceptance testing (UAT) use case scenarios early in the project – Often UAT testing can drag on much longer than planned because new things are discovered or the client isn’t ready. By establishing the testing use cases early, these scenarios can be used by the development team to incorporate to their unit and system testing. This will reduce surprises late in the project and gets stakeholders involved much sooner in the project. Understand data volume and file sizes restrictions that will impact design – Several 3rd party vendors may throttle how much volume their API can handle or have a file size restriction similar to the NetSuite 5mb file size limitation for SuiteScripting. Keep in mind that some vendors can only handle a single transaction per file. It’s important to understand these restrictions and incorporate into your flow design early. 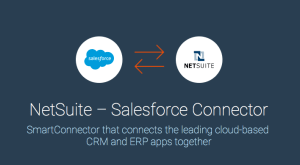 Cellebrite chose the Celigo Salesforce – NetSuite Connector. The connector allows them to manage their lead-to-cash process using Salesforce and NetSuite as a single unified system. Leads and opportunities are tracked in Salesforce and converted to customers and orders in NetSuite. With the connector, the sales team has full visibility into customers’ purchases, invoices, payments, and other financial activity, along with likely future purchases, and the lead-to-cash process is managed using Salesforce and NetSuite as a single unified system. 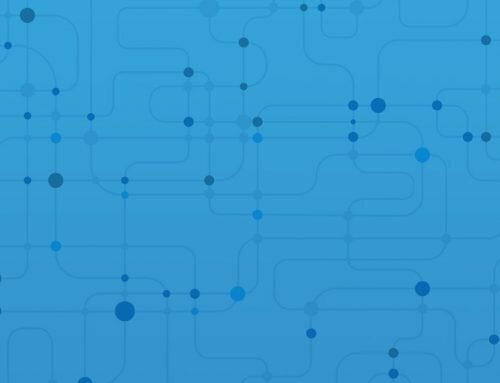 Learn more about the Celigo Salesforce Connector here.